Faster and Louder: It's here! The Motorgirl double 7"! I fondly recall 1999 as the year I both pondered imminent apocalypse and basked in the glory of one of the ten greatest power pop singles ever made - Candygirl's "Oh, Jacky Boy!". Candygirl was the creation of our pal Travis Ramin: songwriter extraordinaire, talented multi-instrumentalist, producer to the stars, radio personality, Pro Bowl placekicker, celebrity pitchman, and one-time captain of the Love Boat. While Candygirl would release only one more single, Travis Ramin would go on to play on and/or produce many of the finest power pop recordings of the 2000s and beyond. You can find most of them here! For years, rumors abounded of Candygirl's bad girl rocker cousin who was going to do for glam rock what Candygirl had done for power pop. Word on the street was that Motorgirl's debut EP would be a Travis Ramin production and arrive in the form of a double 7" with a gatefold. It was two-and-a-half years ago that I shared a TV ad teasing the arrival of this highly anticipated recording. The songs eventually turned up on-line, but there was going to be a bit of a wait for the actual record. Long delayed by a series of events so unfortunate and improbable that even Axl Rose doubted it would ever see the light of day, the Motorgirl double gatefold 7" is finally out and can be yours for €9.99! Available from Italy's Surfin' Ki Records, this is four songs of wham-bam glam rock written and produced by Travis Ramin and performed by Alana Amram. 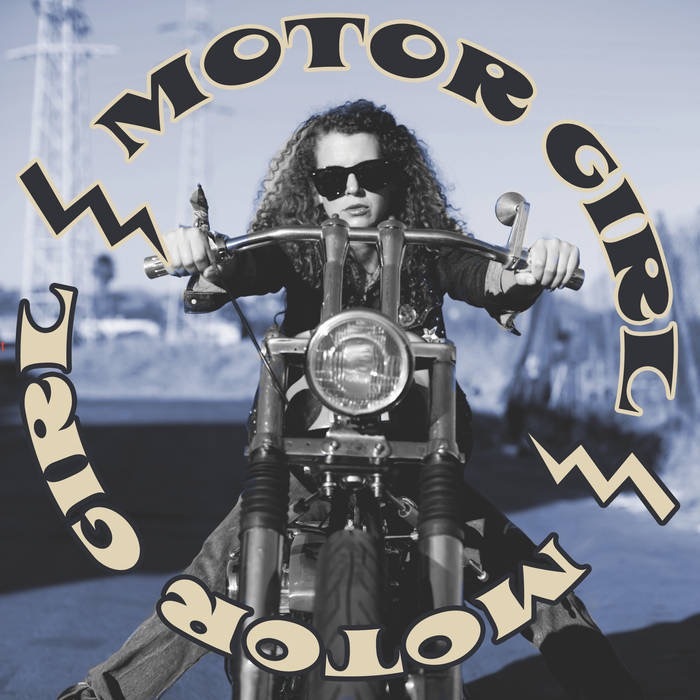 "Oh Jacky Take a Ride" and "Motorgirl" are responses to the songs on the first Candygirl single (that Jacky still has a way with the ladies after all these years!). "Teenage Tiger" is pure Champan/Chinn inspired gold, while "Periwinkle Blue" proves that even tough girls have a soft side. If Genuine Parts are the new Runaways, then Motorgirl is definitely the new Suzi Quatro. Hit up Surfin' Ki for the ordering details and get your mitts on these sizzling slabs of wax! This one was totally worth the wait! Song #2 is a big hit.